Ready to become a business owner & course creator? Find your purpose, create your roadmap to success, launch your business/course, and finally take charge of your life, productivity and happiness while living abroad. My #Layout2Launch method is here to empower you to take the next step in becoming your own boss while sharing your knowledge, skills, and passion with others. 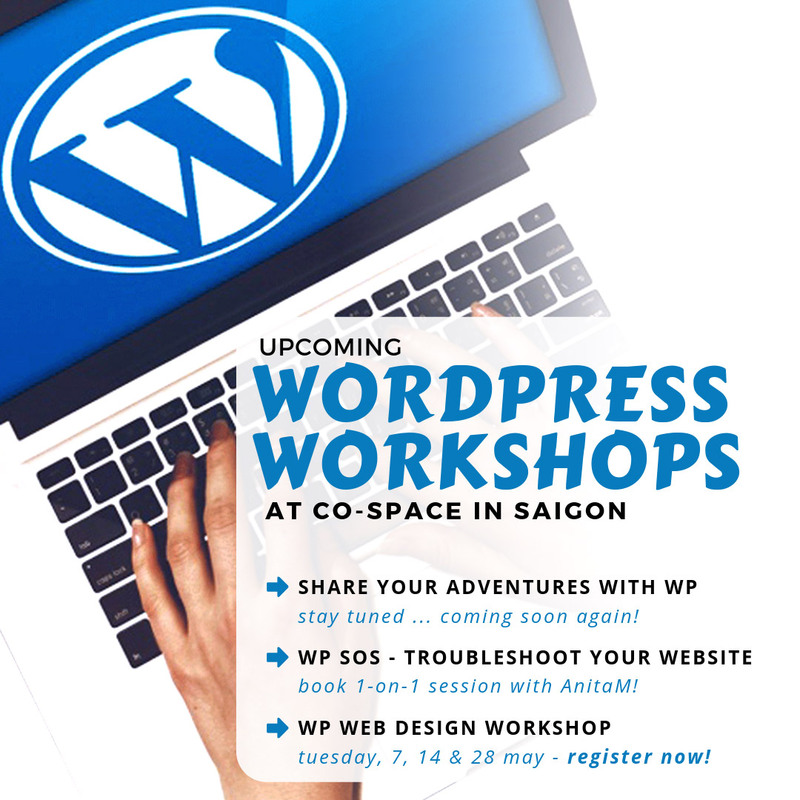 Can you help me setup WordPress? Don't worry, it's not rocket science! With the FREE Starter Kit you'll be set in no time and ready to launch your WordPress Website. I've create an online course just for that the WordPress Bootcamp. This course will teach you all about WordPress & Gutenberg. Can you help me with website? I know how hard it is to get the job done right. Check out my Design Packages and let's talk about your needs and wants now! BUT BEFORE WE MOVE ON ... A LIL BIT ABOUT ME! I’m AnitaM, and I teach digital nomads, expats & world travelers how to stay productive & earn a passive income while living abroad. As a creative course creator, coach & designer with a background in business management and UX design (currently at home in Vietnam), I’m not here to waste your precious time. I’m here to help you to create your own road map to success, financial freedom, elevated productivity, and overall happier lifestyle. Download the Layout to Launch Starter Kit now!